University Floors are awarded a new lease of life! 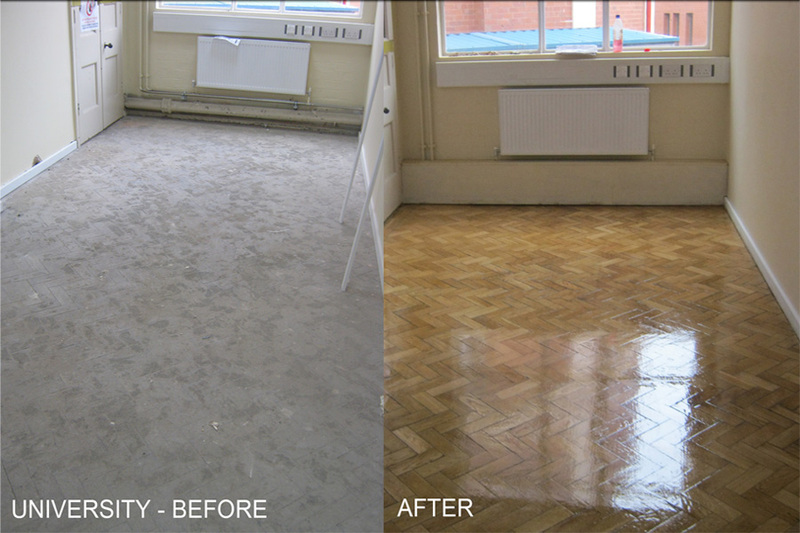 Beaver Floorcare has restored and completed 500m2 + of parquet herringbone on request of a large construction company at Wolverhampton University. 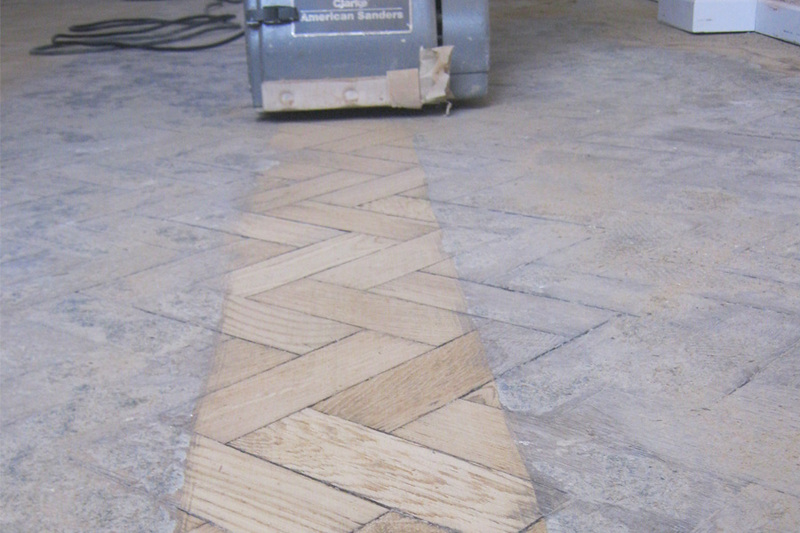 The oak herringbone parquet was in a terrible state and was covered in concrete, cement, latex, adhesive and many other residues. The main body of the floor was first sanded using a Klindex Timba machine on a 24 grit to remove all of the unwanted surface debris, once we had removed the cement and latex residues we were able to sand the floors using the traditional belt sanders. The parquet floors were finished on a 100 grit with the Lagler Trio machine and water popped ready for the application of lacquers. Eukula Perform was the specified 2 component lacquer that was applied exceedingly well in a satin finish. Both the construction company and the university were suitably impressed with standard and quality of the work given the tight deadline and the condition of some of the floors. Beaver Floorcare would like to give thanks to the operatives that worked on this project and made it possible to hit the deadline.